Samsung is postponing the major redesign for yet another year. 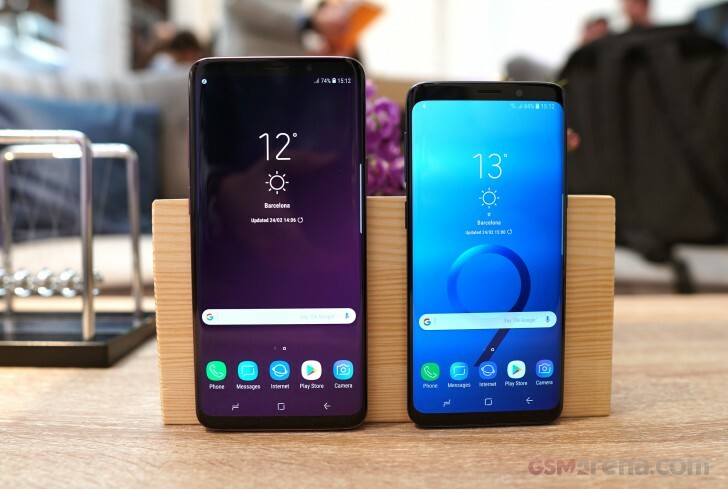 The Galaxy S9 duo refines the futuristic shape in a Cupertino-like fashion instead of taking a new path. And it's still fancy as it was on the Galaxy S6, we'll give it that. But while the S9 may be lacking new looks, it makes up for that in hardware. New blazing-fast chipsets, Samsung's first camera with variable aperture, and an Xperia-like super-slow-motion video capturing at 960fps but done the right way - automatically. There are also high-quality stereo speakers - a highly-anticipated and long overdue feature. For the first time ever the two models have one major difference besides the screen size - the main camera. The two models share the new sensor with variable aperture, but only the S9+ comes with a secondary telephoto camera borrowed from the Note8's back. This means no Live Focus on the S9, but looking at all those upgrades, we think we'll manage. The software has received a major bump too. Starting with the latest Android Oreo Samsung seems to have built yet another impressive feature-rich Grace topping. Bixby isn't going away, nor is its dedicated hardware button. Samsung is bringing new Bixby features such as live translation, places and food suggestions with burnt calories tracking. Then there are the AR Emojis with 18 presets - a cool feature familiar from the iPhone X and its animojis. KNOX got smarter, DeX has new pad-support, the list goes on and on. Let's get this hands-on session started, shall we? Display: 5.8"/6.2" Super AMOLED Infinity, 2,960x1440px resolution, 18.5:9 (2.06:1) aspect ratio, 568/531ppi; HDR 10 compliant. Chipsets: Qualcomm Snapdragon 845: octa-core CPU (4x2.7 GHz Kryo 385 Gold & 4x1.7 GHz Kryo 385 Silver), Adreno 630 GPU. Exynos 9810: octa-core CPU (4x2.8 GHz 3rd-gen Mongoose + 4x1.7GHz Cortex-A55), Mali-G72 MP18 GPU. Battery: 3,000mAh/3,500mAh Li-Po (sealed); Adaptive Fast Charging; WPC&PMA; wireless charging.